Is there a way to export my clips with handles? I selected a range of my timeline but PrimariesExporter does not export all clips. When you range select a portion of your timeline please make sure that this range includes whole clips. 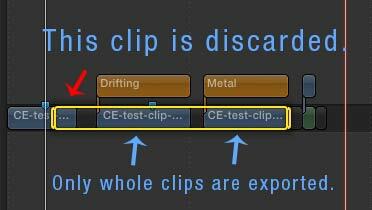 If your range selection begins in the middle of a clip, this clip gets discarded and PrimariesExporter continues with the next clip. I selected a range of my timeline and PrimariesExporter cuts the clips at random times. There is an issue if you export just a portion of your timeline by range selecting it AND using the “Computer” or “Apple Devices” format setting in the export window (see image below). 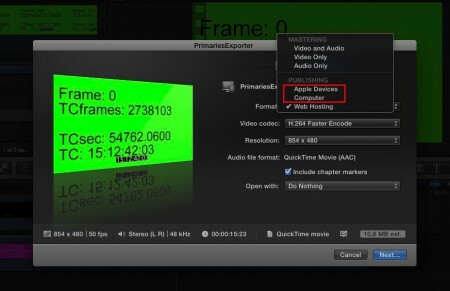 These two format options create mpeg4 videos without a timecode track, which PrimariesExporter requires in case of a range export. I exported an HTML file but some/ all images are not displayed although they are inside the thumbs folder. Images or thumbs are not displayed when their filename contains a “#” symbol. The next version 1.0.2 will fix this. PrimariesExporter does not export an Excel file although it tells me that it did. The Excel file export does not work due to a mistake I made. The next version 1.0.2 will fix this. Is PrimariesExporter able to export multiple / queued projects? With version 1.0.3 (not released yet) PrimariesExporter is able process queued project exports. Exporting multiple projects only works by selecting each project at a time (in the Browser) and exporting it with File > Share > [your PrimariesExporter shared destination setting]. It is not possible to select multiple projects at once in the Browser and batch export them. 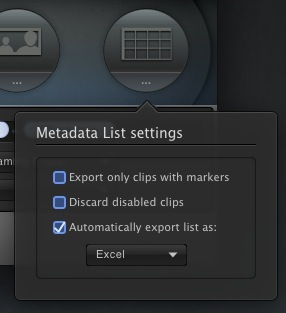 To automate the export of the metadata list check “Automatically export list as:” in the list exporter settings (see image below). I don't understand the pricing. Do I have to purchase all three at $89 each to get full functionality? No, each exporter module (video, image and metadata list exporter) can be purchased and unlocked individually. By unlocking I mean that an exporter gains full functionality and is able to process unlimited clips. If you only want unlimited image export and don´t need a metadata list and video export, you pay US $29.99 and that´s it. If you require the full metadata list export at a later time, you simply open the in-App Store and purchase that exporter module. You pay only what you need.